Second, one of my favorite parts of Thanksgiving food is what I get to do with the leftovers. Of course I sent care packages home with my kids, but we still had the turkey carcass, some turkey for sandwiches, mashed potatoes, stuffing, gravy, and cranberry sauce. The inspiration this week is the chapter, Thanksgiving Leftovers +20 Ways. Sections in the chapter include recipes for leftover Turkey (soup, salad, sandwiches, and tortillas), Stuffing (eggs, cakes, sausage, stuffed peppers, and bread pudding), Mashed potatoes (pierogi, fritters, gratin, pie, and croquettes), and Cranberry Sauce (parfaits, sandwiches, cocktails, breads, and chicken). 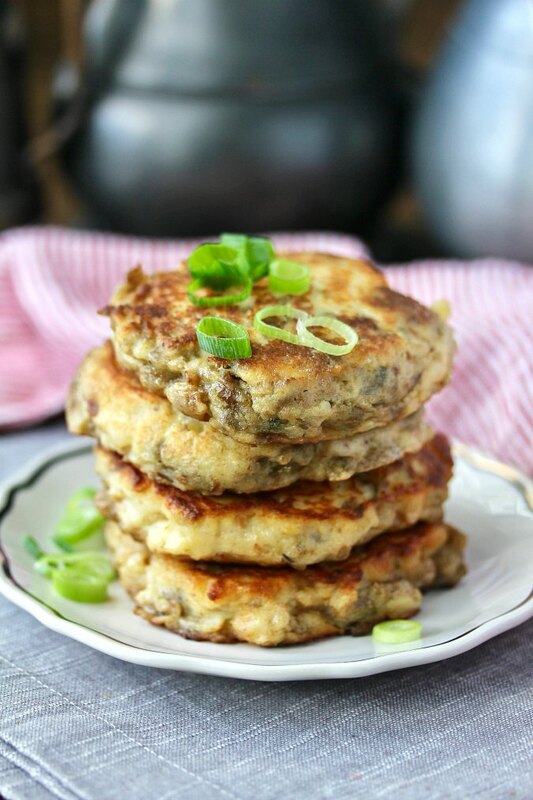 To honor this chapter of the book, I decided to make these potato and stuffing cakes, kind of a hybrid of his potato fritters and stuffing cakes. They were so good. 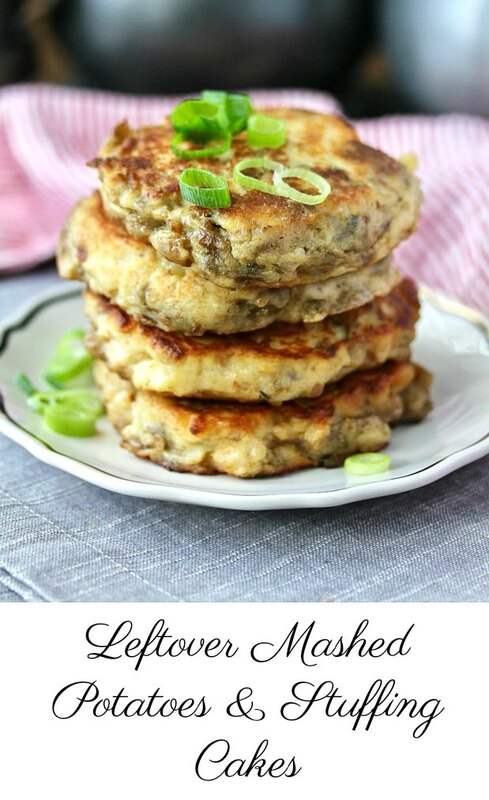 You can make these in advance and reheat them in a dry skillet. Kind of like leftover leftovers! P.S. I did make the cranberry sauce negroni too. It was delicious. 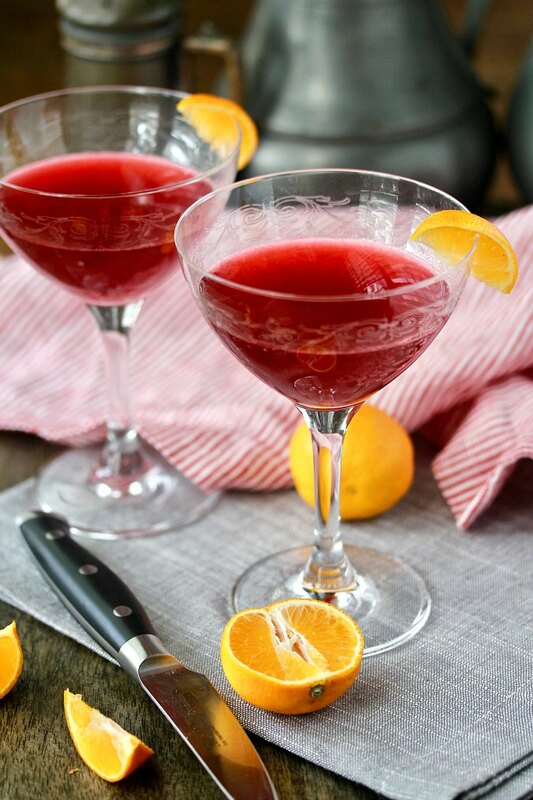 Just combine 1 part cranberry sauce, 1 part gin, 1 part Campari, and 1 part red vermouth. Shake, strain, and enjoy. I've been spending this year cooking through sections of the book with Wendy of A Day in the Life on The Farm and Camilla of Culinary Adventures with Camilla. Let's see what Wendy and Camilla made with Thanksgiving leftovers. Place the mashed potatoes in one small bowl, and the stuffing in another small bowl. Gently mix the ingredients of each bowl in a larger bowl. The goal is to swirl the ingredients together. Using a cookie scoop, add mounds of the blended ingredients to the skillet and pat the mounds down to 1/2 inch thick patties with an oiled spatula. Fry the cakes until browned on both sides and heated through. Serve, topped with gravy, sour cream, and/or scallions. 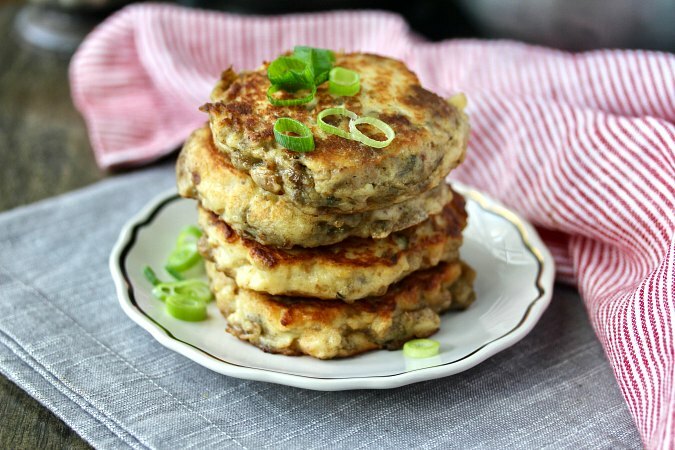 I always make potato cakes to go along with Kielbasa and Eggs after Thanksgiving but have never added stuffing to them. YUM.....and I am definitely making this cocktail!! Yum! That Negroni is definitely on my list, too! Cheers. I use left over stuffing to make croutons that I use in a creamy turkey soup. I mix together very similar ingredients as yours, not quite as much flour though. Then I roll the mixture into small balls about the size of large cherries. I put them on a parchment lined sheet and bake them until a nice golden brown and until they are a bit crispy on the outside. Then I make a creamy turkey soup with left over turkey and use these stuffing balls as croutons...quite tasty. Ooh, that all sounds delicious! !